Millions of city dwellers are being put off relocating to the countryside by concerns over bad broadband and mobile phone reception, while large portions of those already living in rural areas experience these issues to such an extent they regret moving there, according to a new report from uSwitch.com. 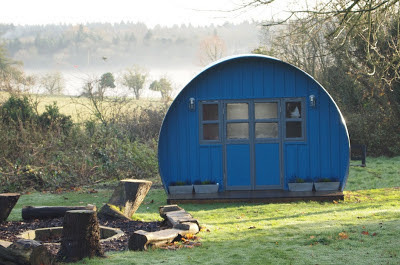 This is obviously not great news for shedworkers and those planning to work from garden offices in rural locations and comes despite Ofcom reporting that almost all of the country should be able to access superfast connections. Its research claims that more than 13 million city dwellers would like to live in the countryside in the future - but for the 15 million who wouldn’t, more than half are put off by the thought of poor broadband connections and patchy phone signal. Although Ofcom claims that 93% of the country can already access superfast broadband services, four in 10 of rural residents suffer from a slow or unreliable connection. And when it comes to using a mobile at home, a third say that their calls regularly cut out, while a quarter say they can’t make any at all. In total, more than one million people - roughly a tenth of all those currently living in the countryside - say they would never have moved there had they known how poor rural connectivity is. Ernest Doku, broadband and mobiles expert at uSwitch.com, said: “It’s ludicrous that in 2018 broadband and mobile phone signal is a factor influencing where in the UK people choose to live. In recent years there have been massive strides made in the rollout of superfast services and mobile reception provision, so it’s hard to imagine why so many people continue to struggle along on a service that doesn’t meet their needs. "The only explanation is that providers have been guilty of a ‘build it and they will come’ mentality - simply assuming that their work is done as soon as they have provided the infrastructure for faster services and not doing enough to make sure that their customers are aware that better services are available." uSwitch encourages consumers to check the broadband speed of any potential property before deciding where to move, which can be done here.